If you’ve decided to update your home’s interior decor during the coming year, simply continue reading to learn about 5 stylish design trends for 2018, which you may be interested in incorporating into your home’s fresh new look. In 2018 expect to see velvet sofas, velvet throw pillows and velvet blankets, dominate the shelves of your favorite homeware and furniture stores. If you’re looking for a bold way to give your lounge a new lease on life you may want to invest in a classic navy blue velvet sofa. Alternatively, add a touch of class to your lounge or office with a velvet ottoman, which can double as a handy footstool. While if you’re interested in trying out this particular trend with less commitment, simply purchase a few inexpensive velvet through pillows, which you can use to dress up your sofa, chaise or bed. Instead of coming across the dainty floral patterns which dominated the market for the past few years, expect to see bold oversized floral patterns released in the form of wallpaper, throw pillows and curtains. A unique way to utilize a large piece of floral material is to create an eye-catching floral headboard for your master bedroom! You can get your own prints of flowers at sites like Paperless Post. Expect to see the rise of copper sinks, taps, cupboard handles, and vases. As in 2018, stainless steel is out and copper is in. Whether your home is inspired by a traditional school of design which features wooden furniture or your home has been designed with a modern aesthetic in mind it’s well worth incorporating a few eye-catching copper elements into your home’s design. Black and white color schemes are set to rise in popularity as homeowners seek to subscribe to a timeless color scheme, which will never date. If you prefer to update your home’s decor every few years and are looking for a classic color scheme which is both classy and modern, you can’t go wrong opting for a classic black and white color scheme. As an example, you might want to consider investing in a white sofa and to place white and black geometric throw cushions on your sofa. To complete the look invest in a striking black coffee table and paint your walls and fireplace a fresh crisp shade of white. While 2017 was arguably the year of millennial pink when it came to fashion, in 2018 you can expect to see millennial pink influence the word of interior design and home decor. As an example, don’t be surprised if one of your friends purchases a millennial pink sofa, throw rug or vase. 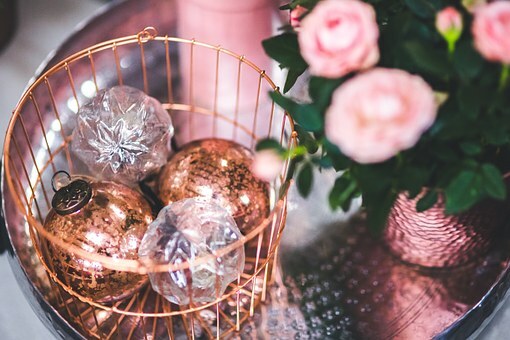 So if you love earthy neutral tones but would like to add a pop of color to your home’s decor, it’s well worth experimenting with purchasing a millennial pink item or two! You simply can’t go wrong choosing to incorporate any one of the design trends listed above into your home’s stunning new interior design plan.